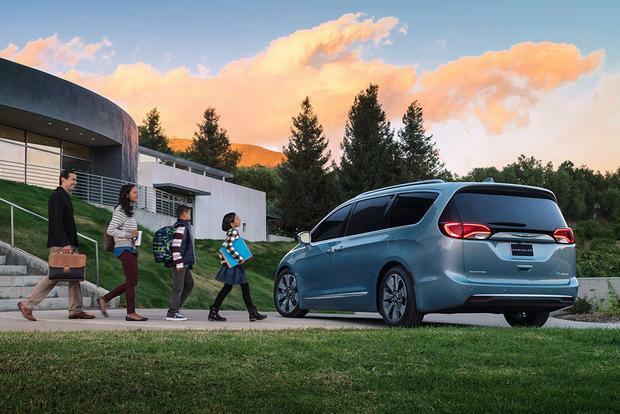 For eco-conscious families, there's no better choice than the 2019 Chrysler Pacifica Hybrid. 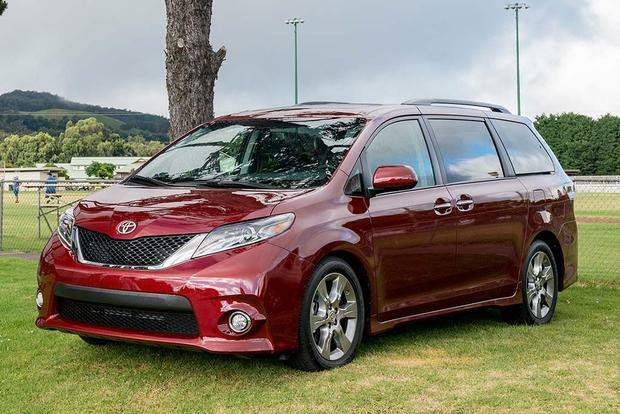 Heck, it might be the best minivan, period. 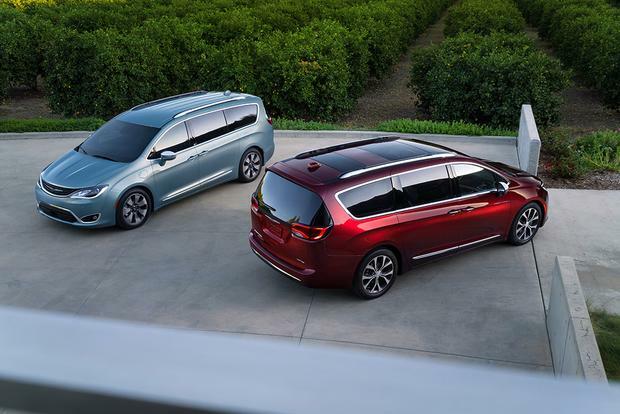 The 2019 Chrysler Pacifica minivan does the kid-hauling well as expected, but does so in a way that doesn't forget about mom and dad. One tiny detail on the 2018 Chrysler Pacifica Hybrid is a little too \"cool\" for our managing editor. 2017 Chrysler Pacifica vs. 2017 Toyota Sienna: Which Is Better? 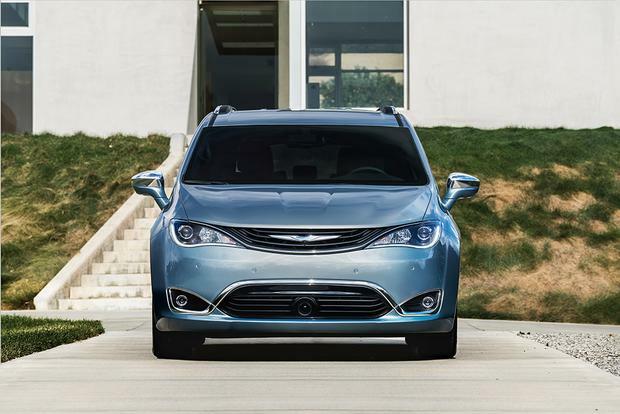 Comparing the eye-catching and state-of-the-art 2017 Chrysler Pacifica with the dependable family workhorse, the 2017 Toyota Sienna. Our managing editor and her family spend some time with our long-term 2018 Chrysler Pacifica Hybrid. 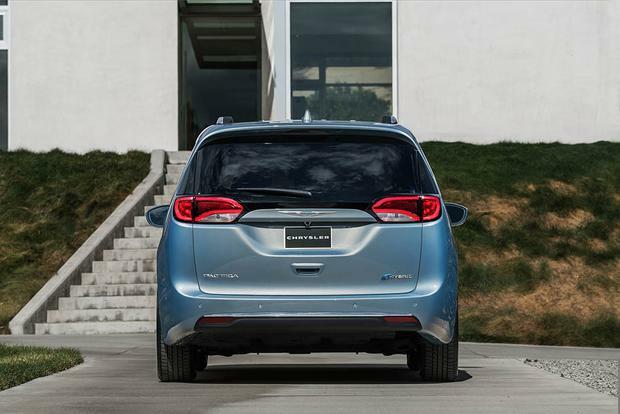 Chrysler says the 2017 Chrysler Pacifica Hybrid is the first electrified minivan sold in the U.S. We say it's a brilliant way to transport a family of seven while returning the kind of gas mileage that'll make Prius owners feel green -- with envy, that is. 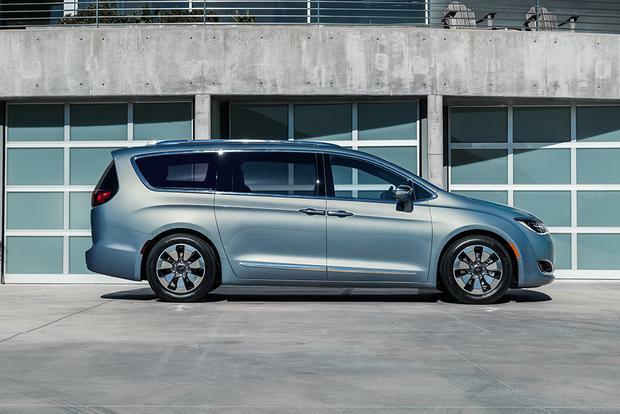 We covered the highlights of Chrysler's all-new Pacifica minivan in our First Drive Review: It has sleek lines, a comfortable ride, smart technology and good value for money. 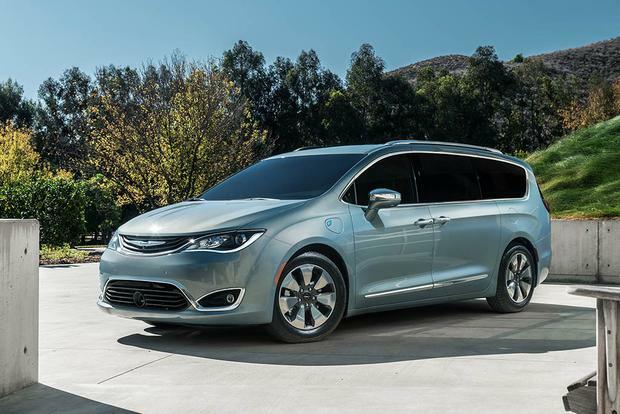 The Chrysler Pacifica is a well-thought-out vehicle, and the Hybrid shows that same attention to detail. Technically, the Pacifica is a plug-in hybrid electric vehicle (PHEV). Plug in, charge up, and the Pacifica goes about 30 miles almost entirely on battery power (we say "almost" because if you really goose the go-pedal, the gas engine cuts in to lend a helping hand). 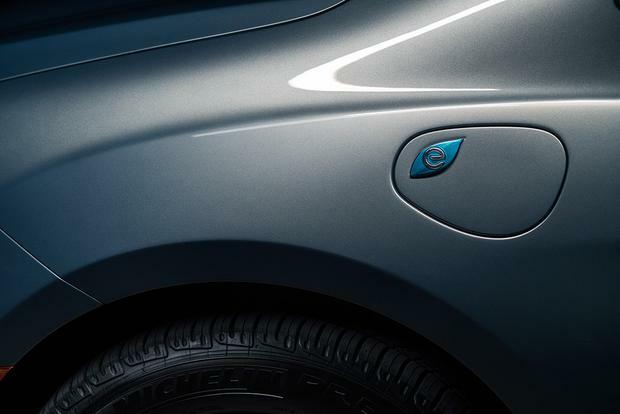 Once the battery is (mostly) depleted -- or if you don't bother to plug it in -- the Pacifica operates like any other hybrid, with the electric motor assisting the gasoline engine. Once the battery runs low, the Pacifica switches to hybrid mode. We cruised down the Pacific Coast Highway watching the gauge dwindle -- 2 miles left on battery power, then 1, then 0 -- but we never heard or felt the switch. Indicators on the dash told us the gas engine was now active, but other than that, the changeover was completely seamless. During our hybrid drive, the Pacifica Hybrid returned an indicated 40 mpg -- very impressive for a 7-seater. No matter which power source was active, the Pacifica was exceptionally quiet, a nice parallel to its soft ride. One criticism we have is that the driver cannot manually select hybrid or electric mode, as most PHEVs allow -- the Pacifica always uses its battery first before switching to gas power. There are times when it's better to delay electric operation. Say you live in the sticks and work in the city. In this situation, it would be most efficient to drive the highway in hybrid mode and switch to battery power for stop-and-go city traffic. The Pacifica Hybrid won't let you do that, and in our opinion, this is a major flaw. The Pacifica Hybrid's powertrain uses a power-split transmission, a design similar to that of the Toyota Prius. (For those who are mechanically inclined, it's a planetary gearset with inputs from a gasoline engine and two electric motors.) The engine is an Atkinson-cycle version of the Pentastar 3.6-liter V6 found in the regular Pacifica and numerous other Chrysler, Dodge and RAM vehicles. Between engine and motors, total powertrain output is 260 horsepower. The Pacifica Hybrid is zippy and responsive around town, but when we floored the accelerator to grab an open spot on the freeway (when in Los Angeles, drive like an Angelino), the Pacifica Hybrid didn't feel quite as quick as we would have hoped. Like most hybrids, the Pacifica uses regenerative braking. When you step on the brake pedal (or turn the rotary shift knob to "L"), the electric motor works as a generator, recharging the battery and creating resistance that slows the car. The Pacifica Hybrid automatically blends regenerative and regular (friction) braking -- unless you really jam on the pedal, most of the braking down to 10 miles per hour or so is regenerative. The Pacifica's battery can be charged using a 240-volt Level 2 EV charger (you can buy one at Home Depot for as little as $400 plus installation). Level 2 charge time is just 2 hours, far superior to the 14-hour charge time from an ordinary household outlet, and you can program the Pacifica to charge at night when electric rates are lower. Visually, the Pacifica Hybrid isn't much different from the gasoline-powered version -- aside from a unique grille and wheels, the two versions are nearly identical. Inside, the Pacifica Hybrid gets a unique dashboard with hybrid-specific gauges, and the infotainment system includes screens that illustrate how the hybrid system operates and track your fuel economy. The 16-kilowatt-hour lithium-ion battery pack (designed by LG and built by Chrysler) lives in compartments under the second-row floor. This means the hybrid does without those fancy Stow N Go seats that fold into the floor, but that's fine with us -- we've always found them a bit small and uncomfortable, and we prefer the Hybrid's more supportive second-row seats. These can be removed, and when you combine then with the third-row seat that folds down flat into the luggage well, it's possible to turn the Pacifica into a 2-seat cargo van. 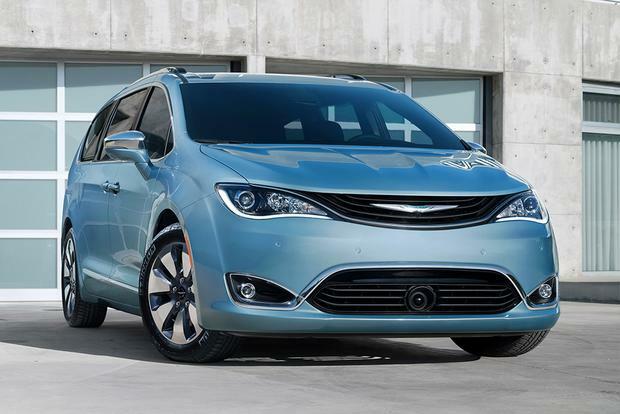 Chrysler offers the Pacifica Hybrid in Premium and Platinum trims. Premium models include leather seats (heated in front), a power lift gate and a blind spot monitoring system, while the Platinum version adds navigation, a premium stereo, adaptive cruise control, semi-automated parking and other goodies. Prices for the two models are $43,095 and $46,090 respectively (including a $1,095 destination charge), but since most buyers will qualify for a $7,500 federal tax credit, out-of-pocket costs are $35,590 and $38,590. Some states have incentives that will lower the price even further.